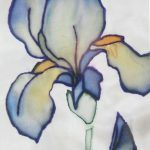 For years BAS member Margaret Kelly has been teaching individuals and classes how to produce stunning paintings on silk and she will be running two one day courses at Bayford Village Hall on June 14th and 15th 10 am to 4 pm. 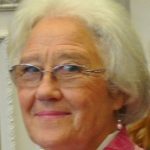 She provides expert tuition and all the materials you will need for £40 for each day. Beginners are welcome and participants are often amazed at what they are able to produce. To book your place call Margaret on 01963 32627. Jenny de Sausmarez, 61 in the Arts Trail brochure, is exhibiting from her own studio for the first time and would like to welcome BAS members. Also see 33 where she is exhibiting in the Deverills with Pat Armstrong. See her site www.jennydesausmarez.com. The address of her studio is Robinia cottage, The Quarry Tisbury SP3 6HR.